IMPORTANT NOTICE - The MTN Sciencentre have relocated to new premises in front of Groote Schuur Hospital. They have also changed their name to The Cape Town Science Centre (Click here to see the new page). 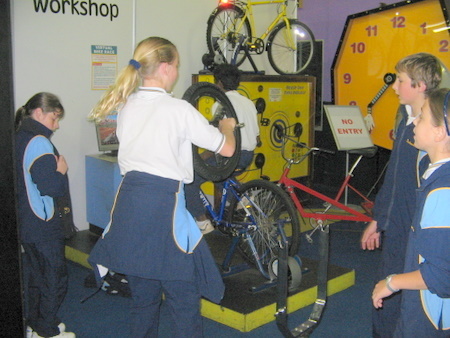 The MTN Sciencentre situated in Canal Walk Shopping Centre in Cape Town, is an interactive science centre. Through the use of hands-on exhibits children (yes mom and dad, you'll enjoy it as well) are taught that science, maths and technology are fun. Apart from the permanent exhibitions, the centre hosts regular travelling exhibitions. The Experilab Science Shop sells toys and gadgets including specialised board games and puzzles, school project kits, slime & sea monkeys!